This inline 4-cylinder two-liter engine appeared in 2001 with one target - replace old M43B18, M43TU, and M44B19 engines. The N42B20 engine got all modern system and technology in those days. The engine is based on aluminum cylinder block with cast iron sleeves instead wholly cast iron cylinder block. That makes the engine much lighter than previous inline-four engines from BMW. There are new 90 mm stroke crankshaft, pistons and connecting rods inside the cylinder block. The N42B20 engine still has balancing shafts, and they are the same as in the M43TU engine. Engineers made some small changes just to fit them into the new cylinder block. The 16-valve DOHC aluminum cylinder head is on top of the new aluminum cylinder block. That is a big step in improvement because predecessors had 8-valve SOHC heads. The diameter of intake valves is 32 mm; exhaust valve diameter is 29 mm. N42B20 camshaft specs: duration 250/258 deg, valve lift 9.7/9.7 mm. 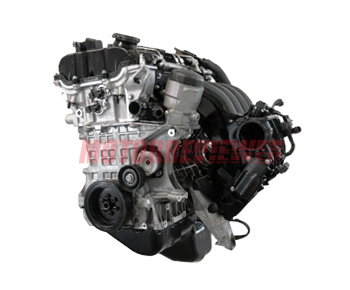 The engine has variable valve lift system called Valvetronic. The engine has a timing chain. Both camshafts are equipped with variable valve timing system (Double-Vanos). Intake also has electronic controlled variable geometry intake manifold. BMW called that system DISA. It is installed for optimized torque and power characteristics at high and low rpm. Also, there is Bosch DME ME9.2 fuel injection system. The N42B20 engine was installed in BMW 18i models. Besides the engine has the smaller displacement version - 1.8L N42B18 engine. The N42B20 engine was produced until 2004 when replaced by new N45B20S and N46B20 engine. 1. Diesel sound. The timing chain is not very reliable. The noise can be from stretched timing chain or its tensioner. Timing chain life is about 60,000 miles. 2. Ignition coils BREMI are easy to damage during spark plugs changing. 3. Look after radiator condition of the cooling system. After a small overheating the engine will start to consume oil. The reason is susceptible valve stem seals. Also, you should know that the N42B20 engine has high demands on the quality of the oil. Use engine oil recommended by the manufacturer. The engine is full of modern technologies and electronics. But it also has good longevity and reliability as M40 and M43 series engines.